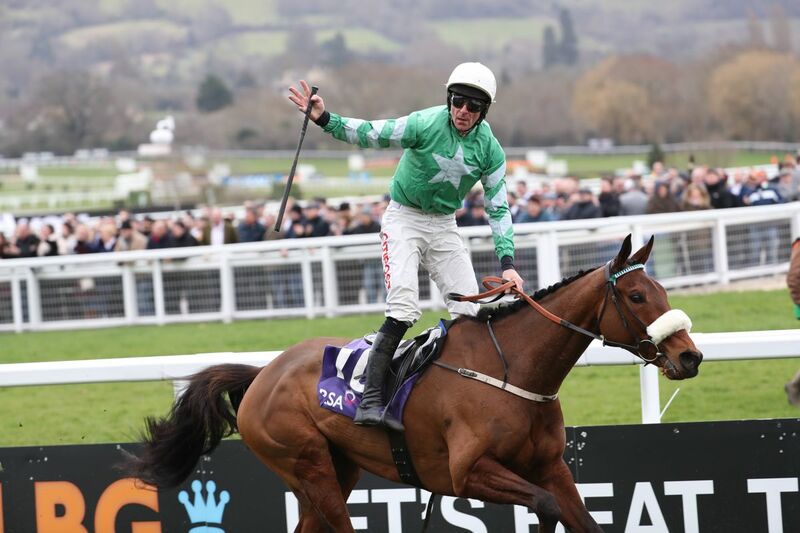 Presenting Percy is on track to light up Gowran Park once again as he heads a stellar cast of eight entries for a high-class renewal of the RED MILLS Chase at Gowran Park on Saturday. 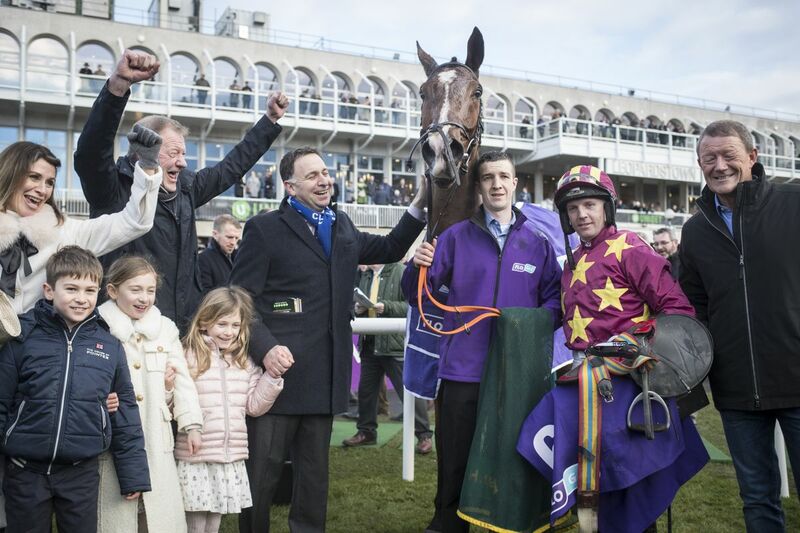 While it will be his first start over fences since his stunning success in the RSA Insurance Novices’ Chase at last season’s Cheltenham Festival, Pat Kelly’s star did make a winning return to action with a smooth win in the Grade 2 John Mulhern Galmoy Hurdle at the track last month. The Willie Mullins-trained Killultagh Vic is another on course for a rematch with Presenting Percy. 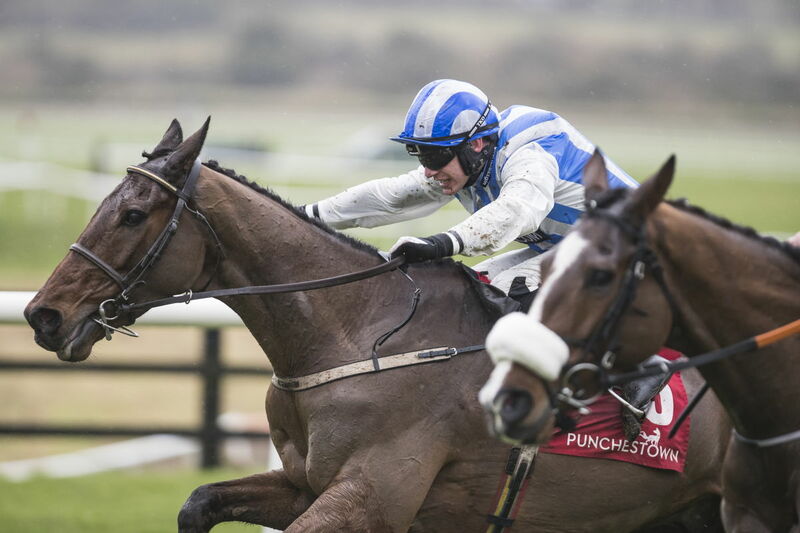 He was only a length and half behind when third in the Galmoy Hurdle last month and could be joined in Saturday’s race by his stable companion Bachasson who scored on his only start this season when taking a conditions hurdle event at Punchestown in late December. 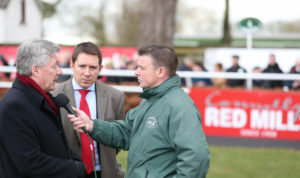 Joseph O’Brien’s Edwulf, a dramatic winner of the 2018 Irish Gold Cup, also figures among the entries while Gordon Elliott’s Alpha Des Obeaux, who ran an excellent race when finishing a gallant second to Invitation Only in last month’s Thyestes Chase, is another interesting contender. 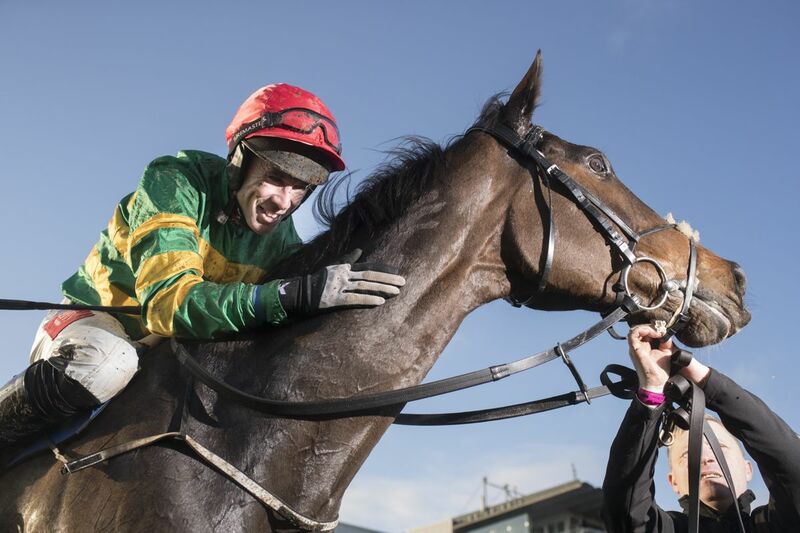 Tony Martin’s Anibale Fly, a fine third in last season’s Cheltenham Gold Cup before finishing fourth in the Aintree Grand National the following month, is another high profile name in the feature race which should attract a large crowd to the County Kilkenny venue. 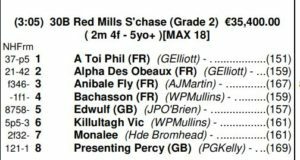 In other races, The RED MILLS Trial Hurdle has attracted a select field of seven entries headed by last year’s winner, Forge Meadow, from the Jessica Harrington yard and she could be taken on by Farclas, winner of the Triumph Hurdle at Cheltenham last season for Gordon Elliott. Elliott has also entered the very promising four year old, Couer Sublime, who held every chance when falling at the last in a Grade 2 Hurdle at Leopardstown in late December.